Good luck, voting will end in 7 days from now. The entries are amazing! This will be a good one! I find it interesting how everyone used Iron man when any on the characters could have been used. I was looking forward to seeing a Pepper sig! Yea I also wanted to see a pepper tag and also of Lt. James " Rhodey "
The last two are Lt. James "Rhodey" suit: War Machine. 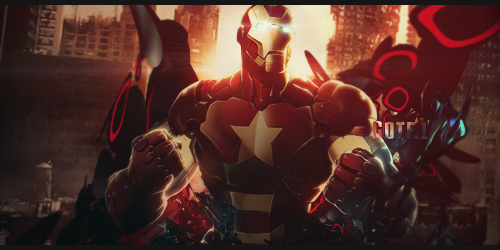 The third one uses the regular look of War Machine and the fourth uses the Iron Patriot look. 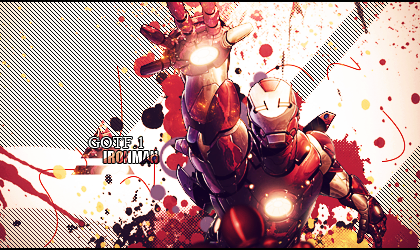 My head was going "that one doesn't look like iron man :s"
Last edited by ChewBecca; 30-07-14 at 07:28 AM. #4 should of won in my opinion.. True that, the depth of the lighten and render(s) are amazing. @mucski / @Klein whatever won. Well done, you are through to the head to head.